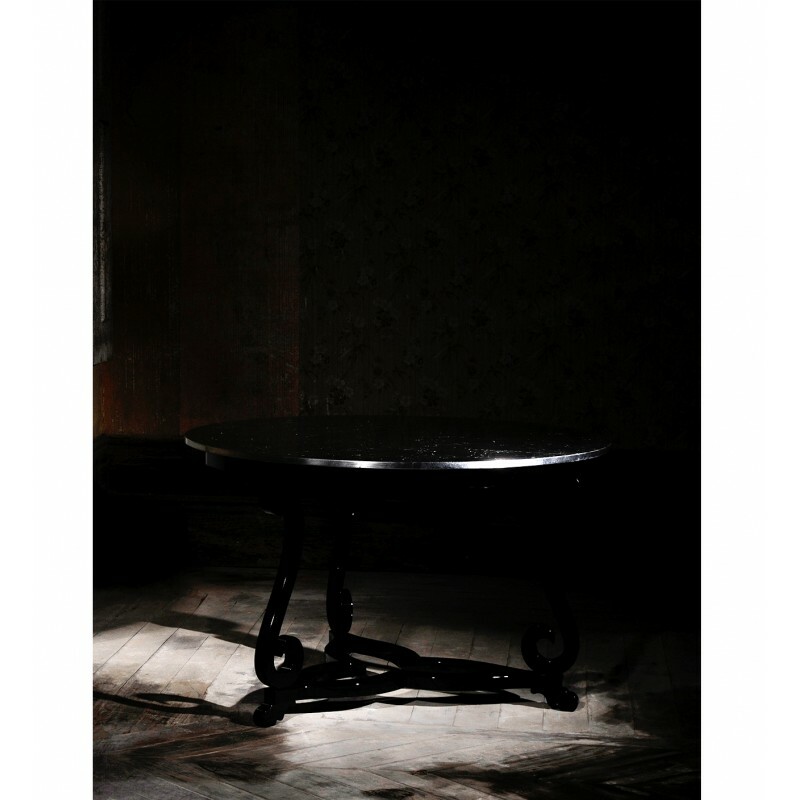 Table made from mahogany with a high gloss black lacquer base. The top is lined with silver leaf. Product features: Table made from mahogany with a high gloss black lacquer base. The top is lined with silver leaf. 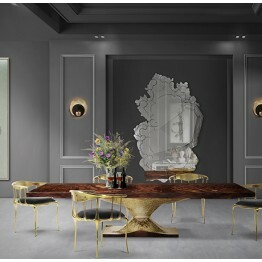 Materials and Finishes: Mahogany, Golden, Silver or Copper Leaf, High Gloss Varnish. Product Options: Top: Gold, silver or copper leaf with high-gloss varnish. 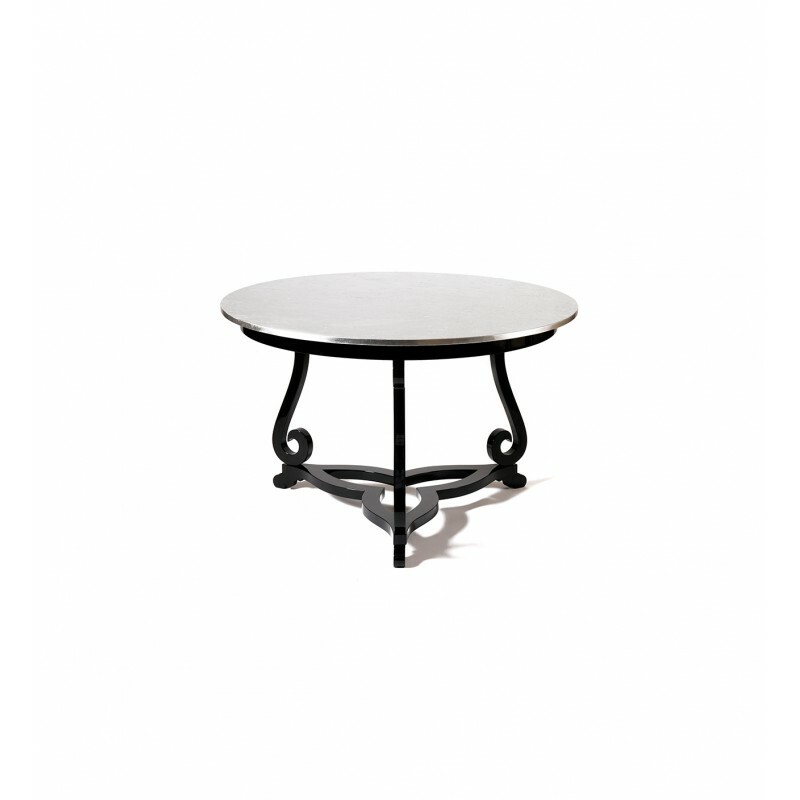 Base: high gloss colored lacquer in black or white with a high gloss or matt varnish. We are pleased to show you how elegance is exemplified in this table's understated simplicity. As a tribute to embellishment or ornamentation we designed Flourish side table, a fascinating piece of furniture that will look stunningly at your living room, next to your favorite sofa. 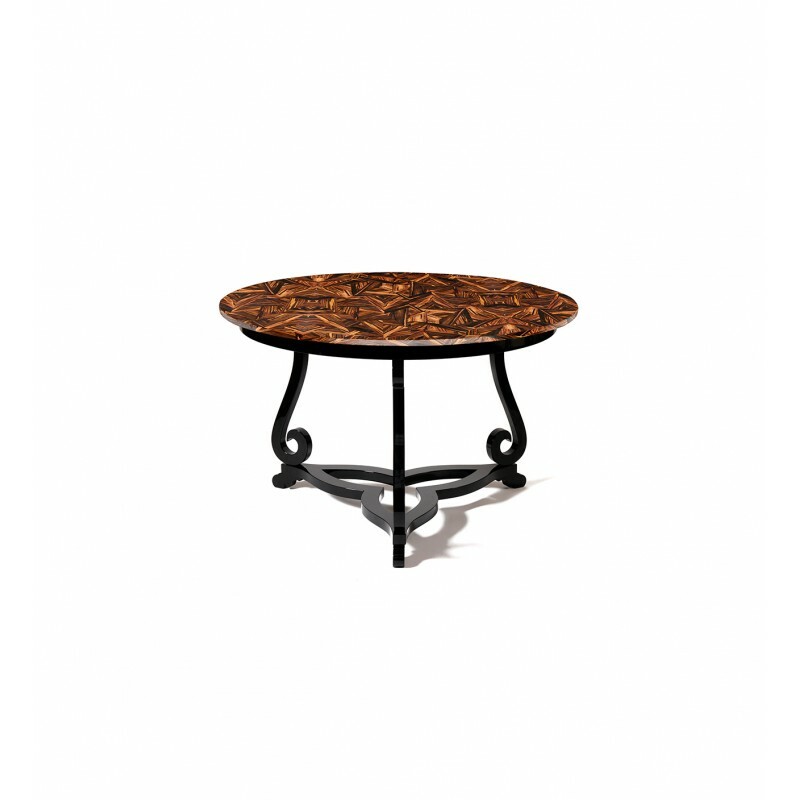 Made from mahogany with a high gloss black lacquer base. 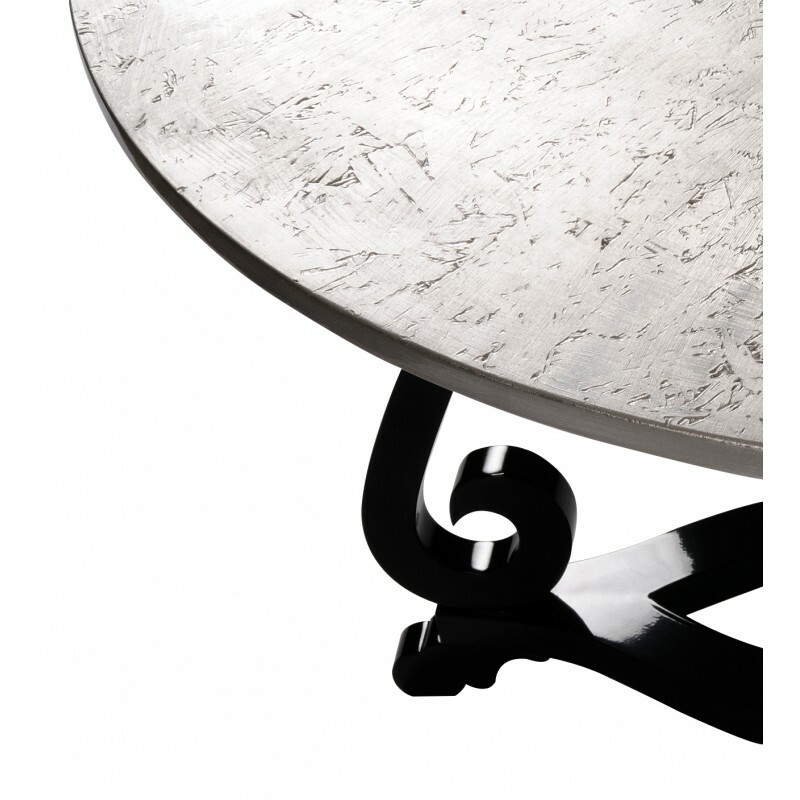 Its top is available in gold, silver or copper leaf with high-gloss varnish.